In an earlier blog, we discussed how shippers often assume that the way they ship freight (and the associated costs) can’t change. But we’ve identified a checklist of 14 ways to reduce freight costs that could be implemented today – if you are willing to change some old habits. Today, we’ll drill into the subject of scheduling freight deliveries and pick-ups. Hit up a carrier on slow shipping days and you can gain measurable savings. Friday is typically an off-peak day for shipping consumer goods because most shippers try to get their product to stores by Thursday, so it can be shelved Friday and ready for sale at the weekend. Mondays also tend to be low-volume days. Shipping off-peak is certainly a great option for shippers of non-consumer type products. POTENTIAL SAVINGS: 10% versus peak ship days. Scheduling freight deliveries to avoid peak hours is a centuries-old strategy. Julius Caesar once mandated night deliveries in Rome. More recently, the US DoT has encouraged restaurants and retailers in the New York City area to accept off-peak, late-night deliveries in order to reduce congestion, offering tax incentives. In Los Angeles, the PierPass system at the ports charges a Traffic Mitigation Fee for container moves from 3am-6pm, Monday through Friday, hoping to push for off-peak moves by drayage carriers. Offering late pick-ups means you give your carrier more opportunity to make your load into a back-haul, which is not only cheaper, but makes you a favored customer. The carrier can make his afternoon delivery and then still have time to hit your dock to pick-up a backhaul run. Efficient for the carrier. Probably a lot cheaper for you. POTENTIAL SAVINGS: 10-20% off standard rates. Carriers have fixed assets, and they are hell-bent on utilizing them with maximum efficiency. When scheduling freight, the more notice you can give the carrier that a truck will be needed at a specific time and on a particular route, the better for the carrier, and the better for you. This is another example of finding opportunities to reduce costs for the carrier that can be passed on to you, with the added benefit that you become a “favored” customer. Use your advanced planning capabilities to give carriers as much notice as possible. The more efficient you can make them, the more aggressive they will be on your freight rate. 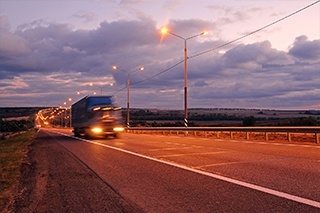 Read the complete blog post: 14 Strategies to Reduce Freight Costs.